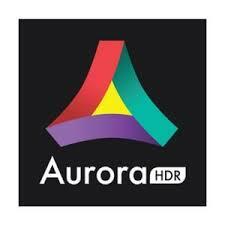 Find your Aurora HDR coupons and save money on your next purchase! Aurora HDR was co-developed with the renowned HDR photographer Trey Ratcliff and has become the industry standard for HDR photo editing. It makes the complex task of HDR editing effortless and unintimidating. This powerful all-in-one HDR editor brings enormous options to create perfect HDR photos including a smart algorithm for tone mapping, unique layer system, luminosity masking controls. Over 70 presets give photos an amazing HDR look in a single click. This combination of tools helps produce a very natural looking HDR image or make the photos that fit your style and depict your creative vision. Aurora HDR 2018 can work as a stand-alone app, as well as a plugin. As a one-stop tool-kit for casual and pro photographers alike, its versatile interface features a faster, more powerful and satisfying experience than any other HDR software. Aurora HDR was named as the Best Mac App of 2017 on Apple App Store.